Good timing! The bimonthly CAPS meeting for Beat 1913, which includes Sheridan Park, is Tuesday night at 6:30pm, at Courtenay School, Wilson and Beacon. We fully expect that the recent gang-related gun violence that has marked the past two months -- and especially Monday night -- in our area will be addressed. 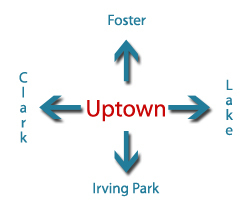 Beat 1913 is bordered by Lawrence, Clark, Wilson, and Montrose. The meeting of Sheridan Park Neighbors that was scheduled to take place immediately after CAPS has been postponed until Monday, November 14th. Time to demand that the City clear the gangs out of Voice of the People taxpayer funded low income housing. Time to pull Voice of the People's funding, for good. Time to demand qualified arrests to put these units and the troublesome CHA units in criminal housing court. Criminal housing court can be used against CHA properties. It is ridiculous that the gangs control certain buildings in this neighborhood while everyone, including the police, know it. We have to stop this mentality of not responding to calls until the action is over and there is a body to pick up. If unarmed community members are taking deadly shots, why can't our police? How many innocent community members have been shot versus the number of armed police? Where the hell is the public college system in demanding that Truman not function in the middle of a gang infested war zone? I agree pretty much completely. 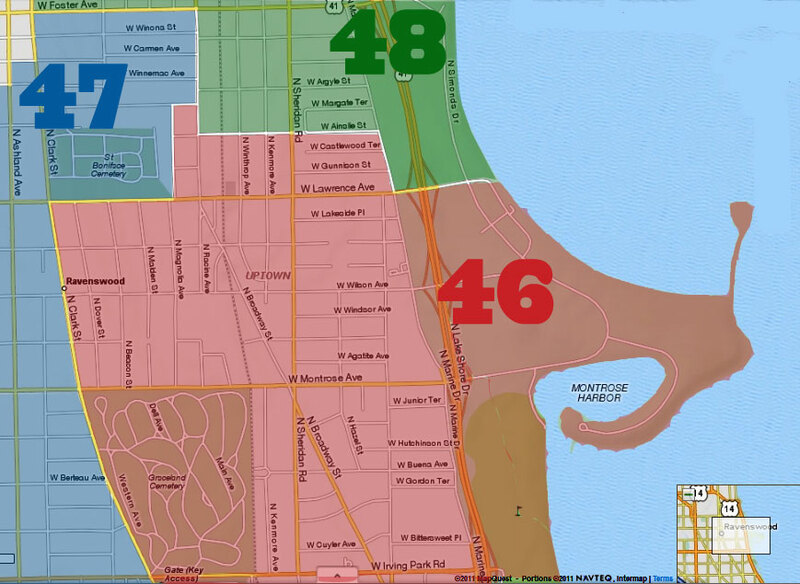 I'm just a businessman from the area who heavily observes, researches, and/or documents the trends of the 46th Ward, but even I have been able to compile a comprehensive list of known gang buildings/hang-outs/territories/members. The city, as well as the Black and Hispanic communities, need to start taking some responsibility for this. Our police force should be allowed to be proactive as opposed to reactive. Innocent people are constantly in the crossfire. The only bright spot to these trends (assuming that the shooters become more accurate) is that Darwinism is in effect...Let them kill each other off. I won't have a chance to make this particular meeting but hope that you, or many people like you, are able to provide your opinions. The Ward can tout all of the high-end residential proposals and L-Station renovations that it likes but if the SROs and subsidized apartments continue to function without HEAVY monitoring (and frankly, some closures), nothing will ever change. What was said at the meeting? I for one, would like to see the list of gang controlled buildings. Please publish it and share relevant information about the perpetrators and enablers. It's also time for the taxpayers to start confronting the enablers here, which are the City organizations, such as CHA, and the private enablers, like Voice of the People and the building slumlords. Let's go after their licenses, complain to the Feds about OUR civil rights being disturbed, protest peacefully, link Cappleman's re-election to his support in doing this, and the like. Take a good look at your real property values on Zillow or other services. YOUR investment in this neighborhood is plummeting.